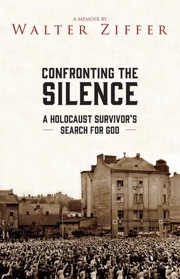 In this memoir, Walter Ziffer, a Holocaust survivor born in Czechoslovakia in 1927, recounts his boyhood experiences, the Polish and later German invasions of his hometown, the destruction of his synagogue, his Jewish community’s forced move into a ghetto, and his 1942 deportation and ensuing experiences in eight Nazi concentration and slave labor camps. In 1945, Ziffer returned to his hometown, trained as a mechanic and later emigrated to the US where he converted to Christianity, married, graduated from Vanderbilt University with an engineering degree, worked for General Motors before becoming a Christian minister. He taught and preached in Ohio, France, Washington DC and Belgium. He later returned to Judaism and considers himself a Jewish secular humanist.